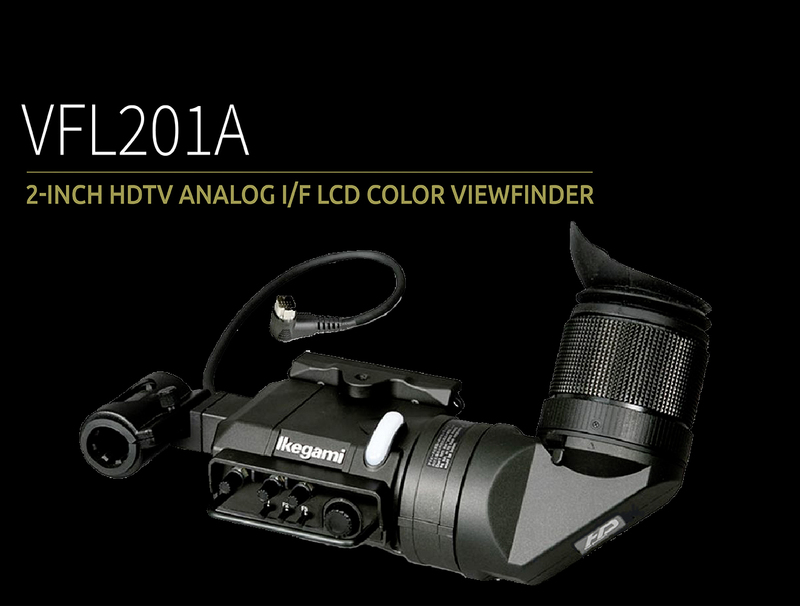 VFL201A is a 2-inch LCD viewfinder developed for HDTV. It has a high resolution QHD LCD with 960 (H) X 540 (V) pixels. It is possible for users to confirm high resolution video with the full color. It has been developed as a successor to the VFL200HD which had been used for our UNICAM HD camera series. By improving its functions and operation, it achieves the performance required for a viewfinder for broadcast cameras. A transparent heater is installed right under the liquid crystal layer. The ambient temperature can be detected and the image without deterioration due to the low response speed at the low temperature can be observed. This viewfinder supplies the abundant peaking features, “ZOOM UP PEAKING” which is synchronized with the camera zoom operation and “COLOR PEAKING” which can add the color on the peak signal, which support the good adjustment of focus. This viewfinder can display the magnified image and support the accurate focusing. 16.7 million colours (8bits colour) are achieved by a full-colour display and a high definition image is supplied. In addition to the area marker, center marker, shadow feature and cross hatch marker, there are 6 (maximum) user markers for each scene, on which users can set them freely. And also, 5 this kinds of scenes are prepared. The following Options are available for the product. The “Offset hardware”, by which you can adjust the position of mic holder, is supplied for each mic holder.